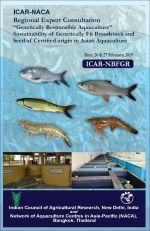 AGRISI, a new information system on aquatic genetic resources of India, has been launched by the National Bureau of Fish Genetic Resources. 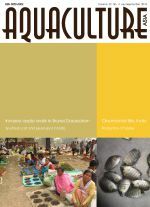 AGRISI is a unique platform presently covering 3138 native fish species of India. The system provides information on systematics, biology, distribution, nutrition, nutrition, and other characteristics. 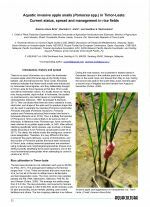 AGRISI includes information on museum specimens, and accessions from different NBFGR repositories. 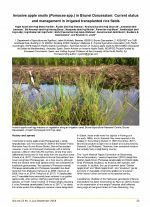 These include data on germplasm, cell lines and links to other molecular resources developed under the National Agricultural Bioinformatics Grid such as the Fish Barcode Information System. 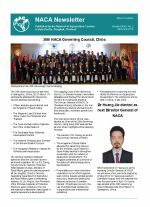 A Regional Expert Consultation on Genetically Responsible Aquaculture was convened by the ICAR National Bureau of Fish Genetic Resources and NACA, from 26-27 February. The immediate objective of the consultation was to discuss mechanisms for establishing quality seed production systems to improve hatchery and on-farm genetic diversity. A long-range objective is to establish networks of registered broodstock holdings. Linked via IT systems, such networks will form a virtual global aquaculture gene pool that can, collectively, sustain high genetic diversity and adaptive capacity, while checking inbreeding depression.